If you will attend the following seminar, please do come and say “Hello”! The event is free, but registration is required! 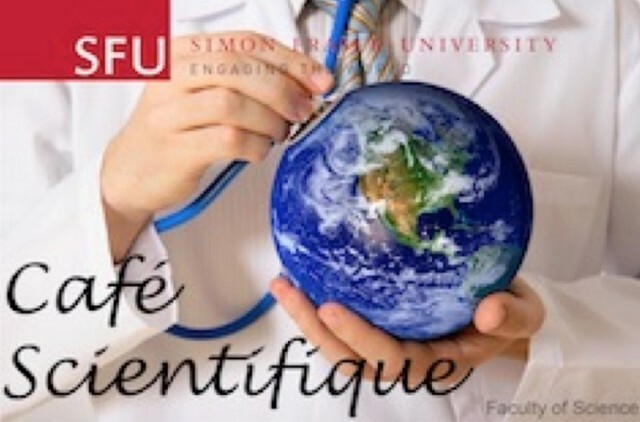 For more information, visit the SFU Café Scientifique’s web site! Since the beginning, understanding how materials can be used for specific tasks has resulted in some of the biggest changes to civilizations. Modern society is becoming more and more dependent on the development and use of advanced materials. From the basics to the controversial, how materials have affected they way we live and play will be discussed. Dr. Neil Branda is a professor of Chemistry and a Canada Research Chair at Simon Fraser University, the Executive Director of 4D LABS, a research centre for advanced materials and nano-scale devices, CTO of SWITCH Materials Inc., a company he founded to commercialize his molecular switching technology and Founder and Director of the NanoCommunity Canada Research Network, a community of nanotechnology researchers committed to sharing knowledge and working collaboratively to advance applications in medical diagnostics, therapeutics, renewable energy and advanced materials.